Clients | Testimonials | Harjai Computers Pvt. Ltd. 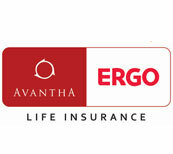 The IT team at Avantha ERGO has been working on implementing a complete IT landscape required for operations of a private life insurance company. 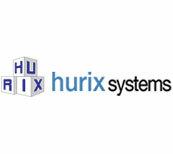 In line with our Strategy, we have found Harjai Computers, as a willing and capable partner, well-equipped to play the role of a provider of highly skilled IT resources for both short-term & long-term enragements, enabling us both scale and efficiency in our IT rollout. It's really nice working with Neha. She is very prompt and has a good understanding on the TT skills. The TAT is really good. Also the followup with candidates. She is a good asset to any organisation. 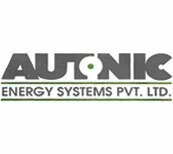 Autonic Energy Systems Pvt. Ltd.
Autonic is working in clean tech space, the candidates database is very focused. We have to work on complete new set of skill sets for recruitment. Harjai Computers have impressed us with professional and consultive approach. The ability to build solid relations based trust and understanding the need. Harjai Computers has a very engaging team to work with and understands the importance of listening. Coming up with right match candidates for selection is there USP. I would personally recommend companies to work with Harjai. We value sincerity and honesty while searching for business resources and your company has been an epitome of professionalism and transparency in operations. We consider your services as an added asset to our company and we wish to continue this association in the long run.